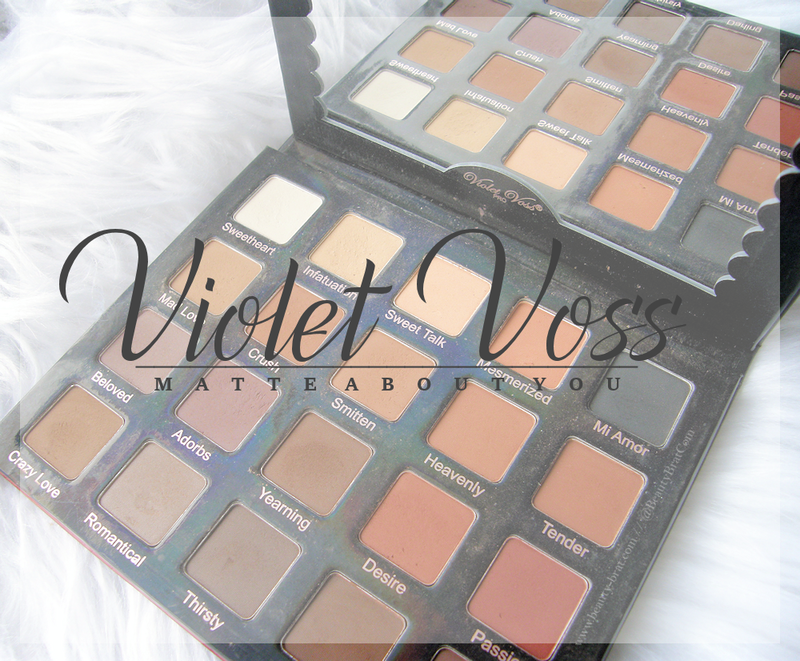 This Violet Voss Matte About You Eyeshadow Palette is one I have had for a while and surprisingly, I haven’t ever spoken about it on here, so I thought I would do a post today on it for you. I bought this around a year ago from Beauty Bay and at the time there were a couple of other palettes by Violet Voss doing the rounds and everyone was raving about them. They were quite expensive so I never bought any of them because I had no way of seeing them in person so I couldn’t say what the quality etc. of them was like. However this one was reduced to around €20 at the time I ordered it. On the outside it is holographic and inside there is a nice big mirror which is very handy. The packaging is nice and sturdy, albeit bulky. It’s a very thick cardboard and although it is sturdy, it’s very big to bring travelling, on a night away etc. Unless you have a very large makeup bag or a case, this would need to be put in separately. Beauty Bay also have the following listed in the description for this palette. I quite like all the colours in the palette and I’ve gotten a lot of use from it. However, the pigmentation of the black is frankly awful. Out of all the shades, the Mi Amor is the one with the poorest pigmentation. The other shades have okay pigmentation, but they do take a bit of work to build up to get good intensity. The shade descriptions on Beauty Bay aren’t correct for every shade. In the pan they may look like the descriptions, but when swatched or used on the eye, they are quite a bit different in my opinion. First & second row. Swatches are completely unedited. Photo taken inside on a dull day. Third & fourth rows. Swatches are completely unedited. Photo taken inside on a dull day. In the swatches above I used my fingers and had to layer them 2-3 times to get that level of pigmentation. The black shadow is the least pigmented out of all the colours. At best, it’s more of a greyish brown. I wouldn’t call it black at all. I do wish the pigmentation was better in every colour but especially the black. There is quite a bit of kickback from these shadows when I dip my brush into them so the palette can get quite messy. I have to wipe it down after I use it, otherwise it’s very messy. It’s £43 pounds on Beauty Bay which is quite expensive given the quality. I’d wait until there is a discount code or sale if you were thinking of getting this. It’s not worth £43. Have you tried anything by Violet Voss? What was your experience? I’d love to hear.